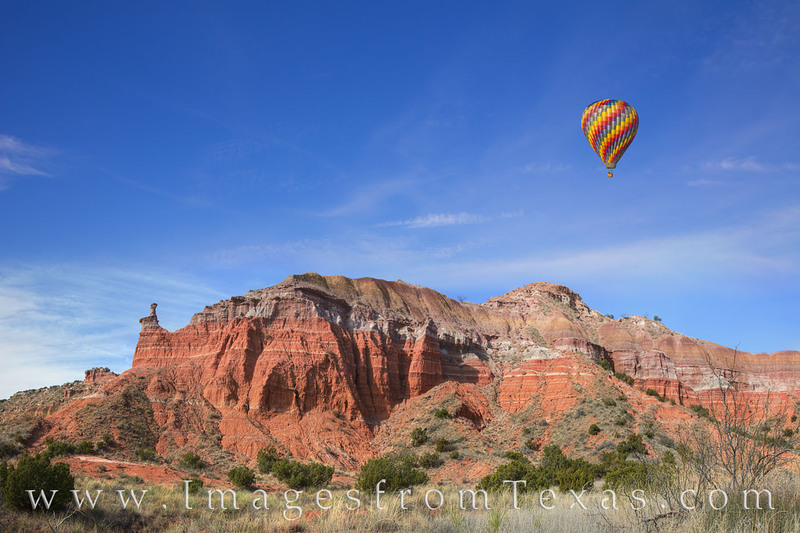 A hot air balloon floats over the red sandstone and hoodoos of Palo Duro Canyon in the Texas panhandle. This image was made on the request of a client. I don’t know if balloons are allowed to float in/over the park, but with the magic of photoshop, I was able to make this flight happen! Photo © copyright by Rob Greebon.